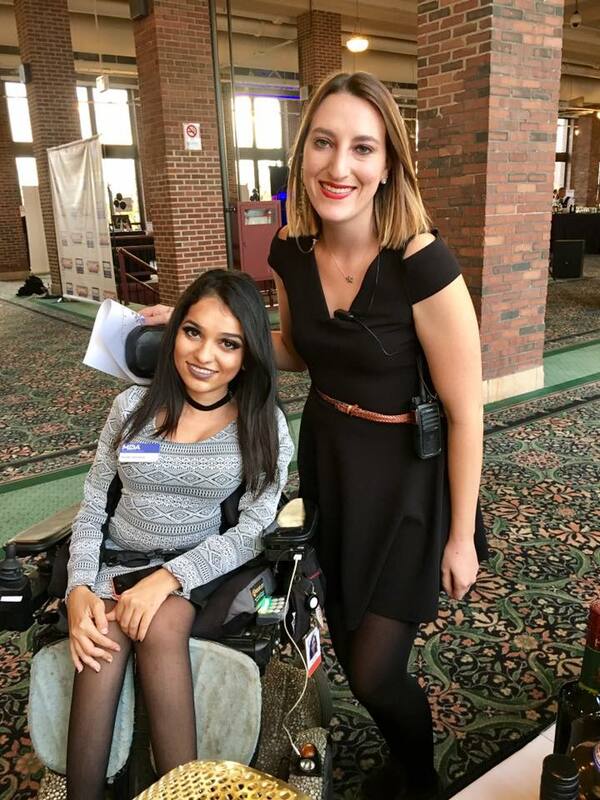 In recognition of National Disability Employment Awareness Month, Sawsan Abuosbie, who lives with spinal muscular atrophy (SMA) and is a receptionist/donor care coordinator at MDA, shares the highs and lows she has experienced while pursuing higher education, job hunting and her transition into the work force. Growing up my mom always pushed me to be just like everyone else, regardless of my disability. She encouraged me to take public transit, hang out with my friends and be a “normal” kid. Well, I took her advice. By the time I was a senior in high school, I was as confident and persistent as could be. I grew up in a pretty conservative Muslim household, so going away to college was a big deal. Both of my parents were completely against it. I thought their hesitancy was because I am a Muslim girl and most parents don’t allow their daughters to live on their own before marriage. After much arguing — and to my great surprise — I realized they were reluctant to allow me to attend college not because of our religion but because I live with a disability. I was in disbelief to hear my mom, who had always pushed me to get out of the house and do what everyone else was doing, say things like this. That was where I drew the line. Both of my parents knew that I would not for a second let them say I couldn’t do something because of my gender. Never did I think my disability would be a part of the equation. My mind was made up. I was going to college whether my parents liked it or not. At that point ,I felt determined to prove them wrong. I applied to six schools, got accepted into all of them, and decided to go to Illinois State University. My mom told me that if I left she would refuse to help me in any way. Luckily others were there to pitch in. A friend drove me to an overnight orientation before my first semester, teachers helped me edit essays and personal statements, I got my personal assistants set up for when I moved in and my aunt agreed to help me move in on the first day. To my surprise, my mom decided she wanted to come with me and my aunt to help me move in. After my mom was able to see my living area, the accessibility options the school was providing for me, and that I already had caretakers ready to help me every day, she was at peace. She finally accepted that this was happening and I was going to be a completely independent adult. After graduation, job hunting began. I moved back home after college (which wasn’t exactly the greatest) and began looking for jobs. I wanted to get a job as soon as I could so that I could live in Chicago by myself. 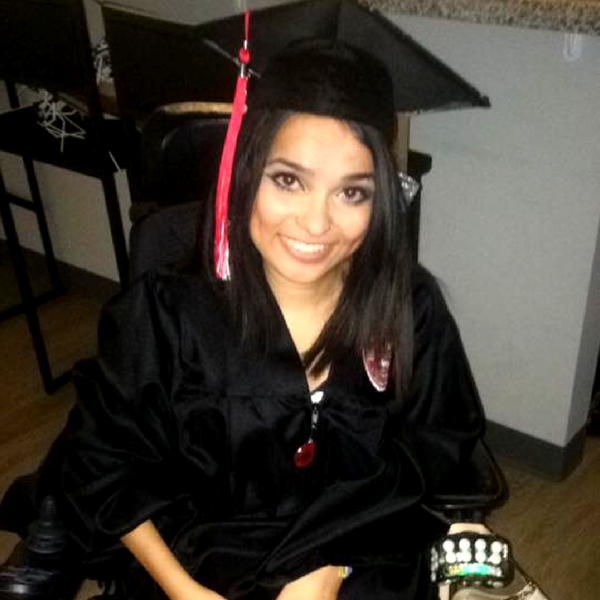 I loved living on my own in college and defeating every obstacle that my disability or life threw at me. I always wanted to be at the same level socially and academically as my peers. I spent countless hours of sending my resume everywhere in Chicago but got very few responses. I wondered what I was doing wrong. I filled out hundreds of applications, each application being pretty standard. Name, social security number, address, phone number, race, gender, age…..disability. Three months after I had begun job hunting I decided to turn to Facebook for help. After posting “Need a job…. HELP!” I was pleasantly surprised when one of my old MDA camp directors messaged me and told me that MDA was hiring and looking for a receptionist. It was perfect. I instantly applied. One month and two interviews later, I landed the job at MDA. 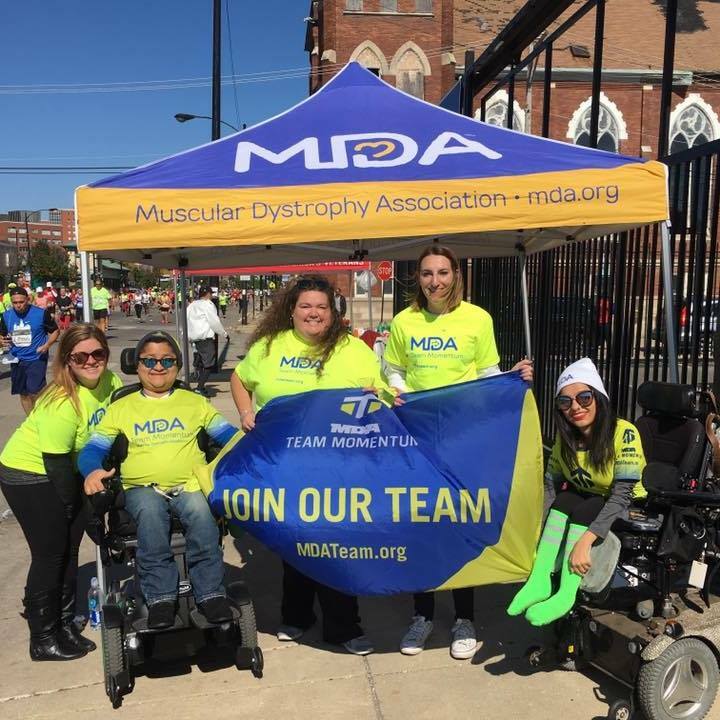 I knew working for MDA would be perfect for me considering that I have SMA and have been involved with this organization my entire life. I was excited to find an opportunity where I knew I wouldn’t end up like one of those miserable people who hated their job. A month after I began working with MDA I received a call from my vocational rehab counselor at the Division of Rehabilitation Services saying she could help me find a job. I didn’t know that service existed until after my job hunt had ended (facepalm), but if you want to learn more about that service, higher education resources or resources for living independently, you can find them on MDA’s Young Adult Programs page. With my job secure and at an organization I hold close to my heart, it’s now onto the next task: finding an accessible and affordable apartment in a big expensive city. Not easy. But that’s a whole different story.